Texas Home School Group Leaders are absolutely a blessing to the homeschool groups they lead! We are excited to highlight one of these amazing leaders from this year’s THSC Convention in The Woodlands. On July 20, 2017, South Texas leaders gathered for training and encouragement at the 2017 South Texas Leaders’ Conference as part of The Woodlands Convention. Leaders enjoyed humor and encouragement from Rick Green and Holly Giles and received the most current legislative updates from THSC president Tim Lambert during State of the State. During the conference, THSC announced the top three nominees for 2017 South Texas Leader of the Year. Ultimately, the winner was Diane Aquila of the Aquinas Group in Houston, Texas. Please enjoy meeting Diane and trying to keep up with all that she has accomplished in her homeschool leadership role! Her love for others and devotion to mentoring homeschool families truly reflects the heart of a THSC Partner Group Leader. Hi, my name is Diane Aquila and I’ve been married to my husband Dominic for 34 years! We have been homeschooling for 32 years. 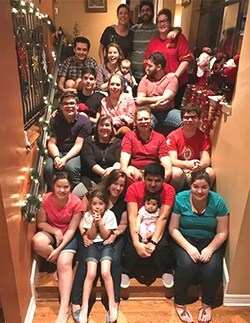 Dominic and I have 13 children—two in heaven and 11 living—and our children range from 13-32. We also have three granddaughters. This year, we will be homeschooling our last two children, who are ages 13 and 15 in the eighth and 12th grades. Ahead of them, we have three children that will be in college next year. The older children in ascending order are in these careers: nurse, pastry chef, liturgy coordinator, art consultant, therapist, family and marriage coordinator. I came to leadership in homeschool groups by filling a need for my family. I also love to serve; homeschooling is one of my chief callings and I have always believed in mentoring. This led me to founding and organizing our co-op! My favorite thing about leading the group is helping people with their homeschooling and homeschooling choices—whether philosophy, curriculum, or other areas. Overall, I love hearing people’s stories, meeting other homeschoolers, and becoming friends with such amazing people! 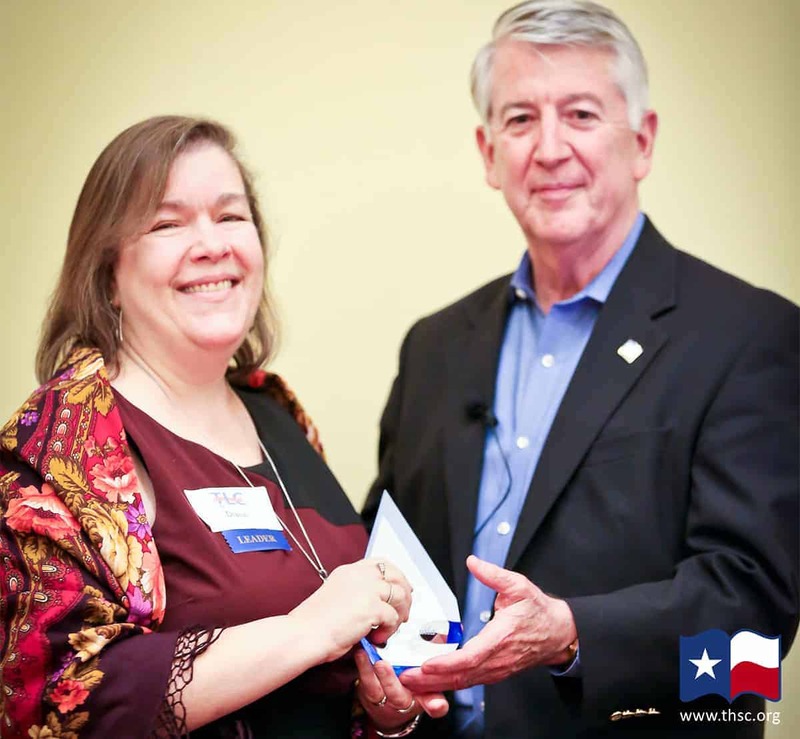 THSC loves to support THSC Partner Group leaders across Texas. Did you know that if you are a member of a THSC Partner Group, the group leaders can share a discount code with you to save $20 off your annual THSC membership? Ask your leader for your discount code and join THSC today! Are you a homeschool group leader and want to take advantage of all the great benefits THSC offers to help homeschool group leaders lead? Partnering with THSC is free and applying is easy! Apply to Add or Update Your Group!